As a GM, I’m a huge fan of being prepared. Ideally, I’d prefer to be prepared for every eventuality, but that’s not realistically possible. Backup: Sometimes, a player loses his character sheet. For example, his bag could get stolen or his copy could get covered in Coke or something else. Having a backup copy of the character sheet makes the immediate aftermath of the event slightly easier for everyone involved. Plotting: A PC’s character sheet can tell you a lot about how the player wants to play the game. For example, a PC with lots of “face” skills is clearly designed for diplomatic/social encounters while one focused on mobility-based skills is clearly hoping for (or expecting) interesting terrain to utilise during adventures. It’s good to know this kind of stuff so you can design your adventure for your players (or tweak a commercial one to better fit your group’s play style). Balance: I’m on the fence about balance, and how balanced the various PCs in your campaign should be in regards to one another. That said, it’s always a good idea to know which spells, magic items and special abilities the PCs can use or access. For example, if you plan an encounter that includes opponents with damage reduction overcome by adamantine it’s a good idea to know if the party actually has adamantine weapons! If they don’t, things could go horribly wrong. 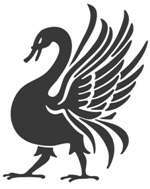 Absence: As an organised GM you’ve no doubt got some house rules regarding absent players and what happens to their character while they are away. Sadly, real life sometimes intrudes on gaming and consequently a player can’t make the session. If your house rules handle this eventuality and specify the player’s PC continues in the game you need a copy of its sheet for someone to run. Already having a copy makes it much easier for everyone involved. Take a photo of your character sheet and text, whatsapp or email it to the GM. Send a scanned copy (PDF or .jpg) via email. In Herolab you can quickly export your character sheet as a stat block or PDF and email it directly from your tablet. (Most of my player use this method which means I have an updated copy of their character sheets at the end of the session before they have left the building). Set up a shared note or notebook in Evernote. (Did I mention, Evernote is a fantastic gamer’s tool?) For my Shattered Star campaign, I add all the character sheets I get to Evernote and tag them to they are easy to find—then if I need to reference them in the game, they are only a couple of clicks away. 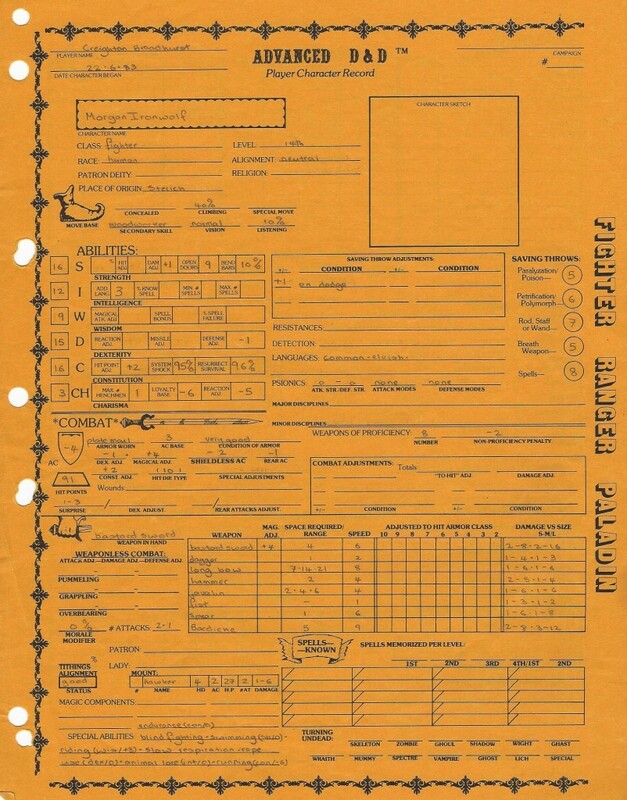 Is there another reason for having a copy of all the PCs’ character sheets? Do you think doing so is pointless? Let me know in the comments below. I wish there was a good full data set for 1e AD&D for HeroLab! I’ve always instituted what I call, “the Character Vault” rule. The DM is the official Character Vault and keeps the primary copy of characters for a campaign between adventures. If the players want their character to take home, they get the copy. Creighton, I love the character sheet by the way! I want to make one like this for 5e (I know, not your favorite but still), Goldenrod is awesome! I use Dropbox and share an individual folder with each player. Then either provide a character sheet or let them put their own one in the folder. It is then up to them to maintain it so that if they are abscent I can access it on my tablet/phone/carrier pigeon. So when I’ve messaged players that they just levelled up and to put an updated sheet on Dropbox the day before the next session and they don’t: then they are still at the lower level! (Unless I’m feeling in a good mood and let them update their paper sheets at the start of the session). I try to constantly see that the players have the most up-to-date PC sheets. This is to promote trust between them and me; to respect the process and to bring up their questions. This is also a hedge on my part. If my files ever got destroyed or corrupted-I could bring the campaign back online fairly quickly. I don’t put them in google docs or dropbox because if those systems become corrupted I could lose a lot of data very quickly. No, I firmly believe in distributed files in the Player’s hot little hands-they also cue me to stuff I hadn’t thought of. That’s a good idea, Ed. I save all my critical files to three separate locations, but I’ve never thought about player-based off-site back up before! Thanks for mentioning it. I actually keep my players original character sheets. I collect them at the end of every session. That way, I can look over the sheets when designing adventures (I want to give everyone their 15 minutes of fame). I also am able to more easily prevent the players from “misunderstanding” the rules or their characters. The players level up their characters sitting at the table after the session. In a table I play (instead of run), I was given a character from a player who asked that I run it the next session as a silent pc so he could gain xp while on a business trip. I found nine major…. “misunderstandings”that had a major effect on the character and his abilities. I like this Idea. I keep all my players information in 1 inch 3 ring binders, that I keep on my desk that I use for a book shelf and display for all of my AD&D materials. This way I always have the folders at my house and no one can misplace their player sheets.